There could be a Martin Scorsese-influenced Joker origin movie on the way (with no Jared Leto)… wait, what? The Joker has had, let’s say, a mixed movie history. 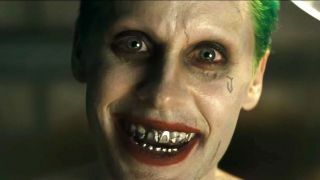 For every Heath Ledger in The Dark Knight there’s a Jared Leto in Suicide Squad. But now DC are looking at developing a completely separate Joker origin story – away from the DCEU – with no Jared Leto. Oh, and Martin Scorsese is involved. Because, yeah, why not? Variety are reporting that The Hangover director (this story just gets weirder and weirder) Todd Phillips is in talks to co-write and direct The Clown Prince of Crime’s origin story. Martin Scorsese is attached in an unspecified role. The Joker’s origin story is famously all over the place in the comics – with the most iconic example being The Killing Joke’s Joker falling into a chemical vat after being chased by Batman. Ouchy. For what it’s worth, sources indicate that the movie will be set in the 80s and be a ‘gritty crime drama’. So probably no falling into industrial-sized equipment after being chased by a grown man in a bat costume, then. If the origin story is moving completely away from the DCEU and, mercifully, Jared Leto, then it opens up the possibility of DC introducing their Elseworlds branch of stories (essentially a one-shot alternate universe take on classic characters) to freshen things up. I’m down for that.